Eye-catchers: the Roche Bobois display (with Missoni fabric balloons in the background) and Caesarstone's Swings by Philippe Malouin. 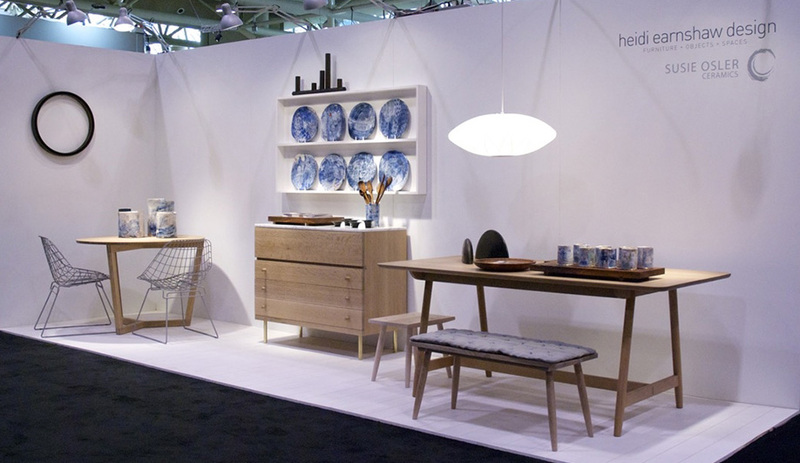 Toronto showroom Avenue Road presented a display of furnishings by Sebastian Herkner, who was also a keynote speaker. 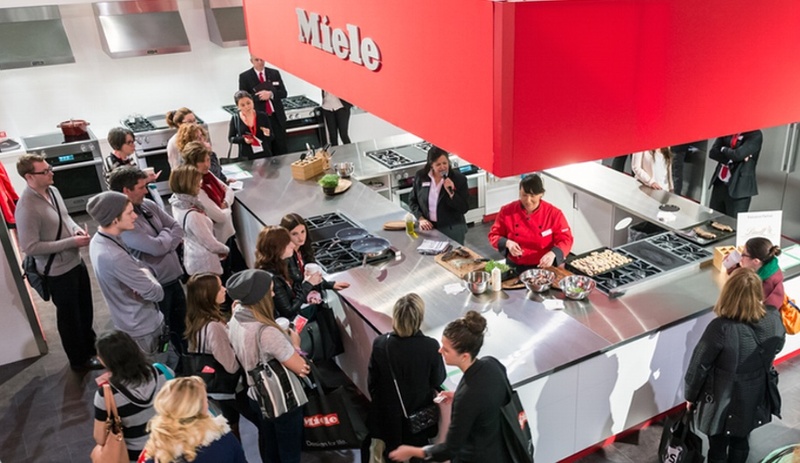 The Miele stand was a popular hangout throughout the show. 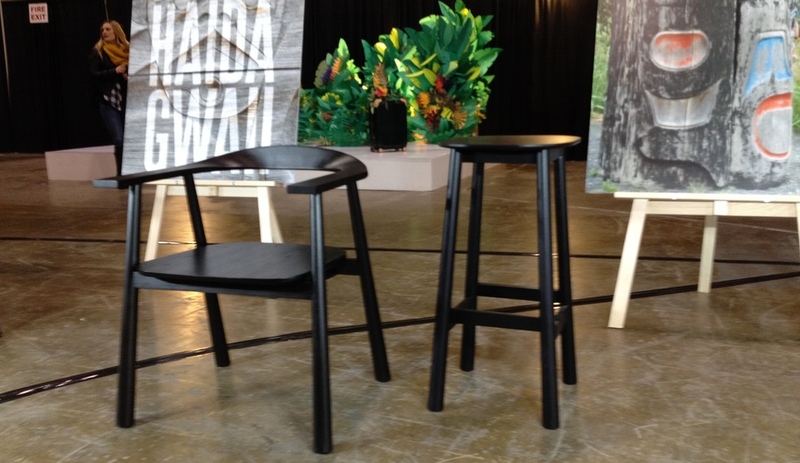 The IDS jury chose Geof Ramsay's all-black chair as the winner of the best prototype award. 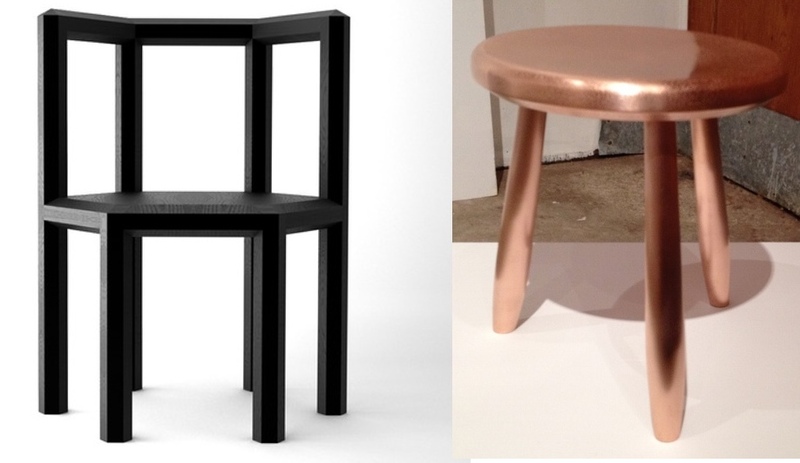 Andrew Reesor's copper-coated stool was on display off-site at Made. 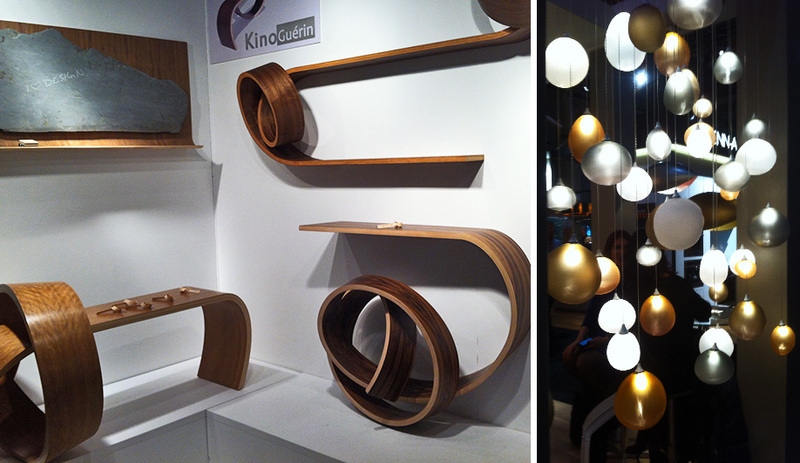 Craftsmanship at IDS: Kino Guérin's looped wood shelving; AM Studio's organically shaped glass pendants. 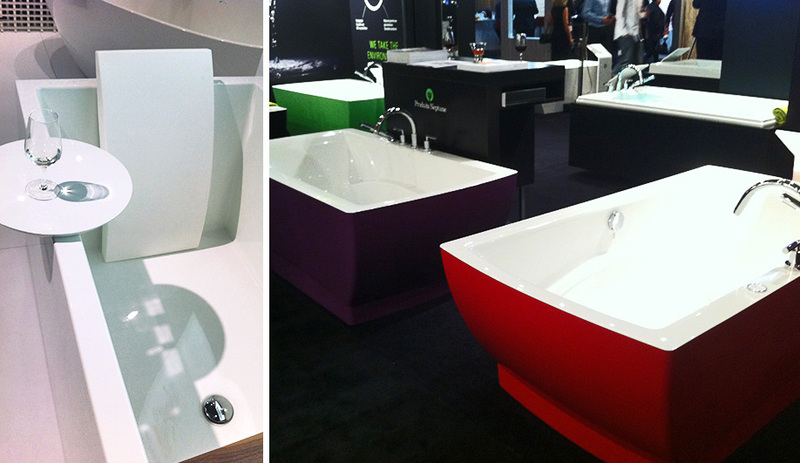 Bathtubs by WetStyle and Produits Neptune feature eco-friendly manufacturing and materials. 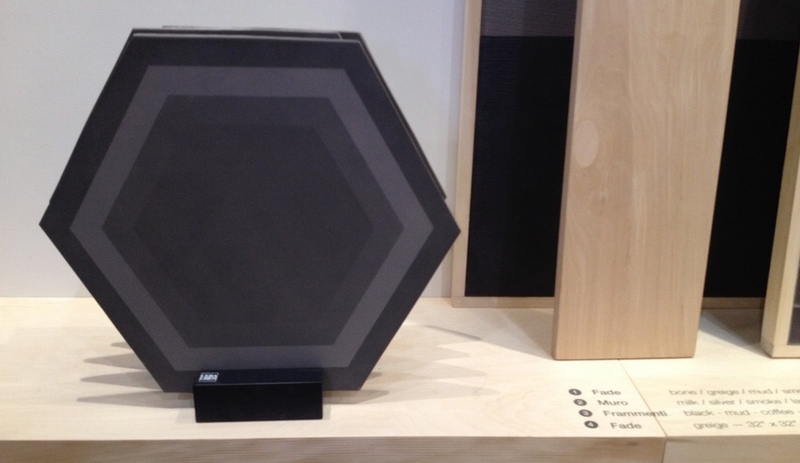 At IDS, 608 Design showed off a prototype of its Coude Mesh lounge. 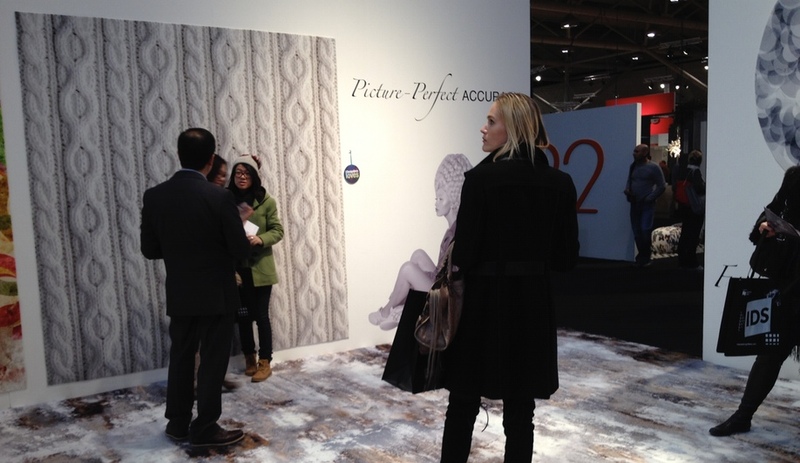 Shown at IDS, W Studio's amazing W Dream line allows photorealistic images – like this oversized cableknit pattern – to be printed directly on the rug. 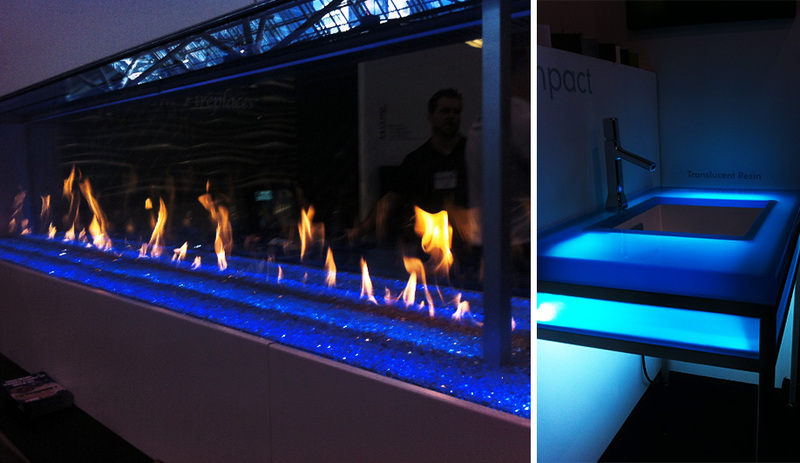 Glowing fireplaces, by DaVinci Custom Fireplaces and others; and LED-lit bathrooms (Neo-Metro's blue beauty, shown) were some of the IDS highlights. 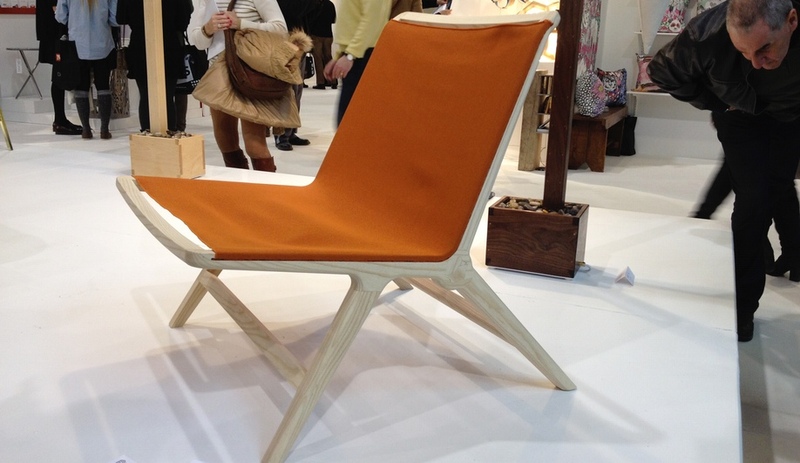 Toronto designer Patty Johnson created the Haida collection for Swedish manufacturer David design. 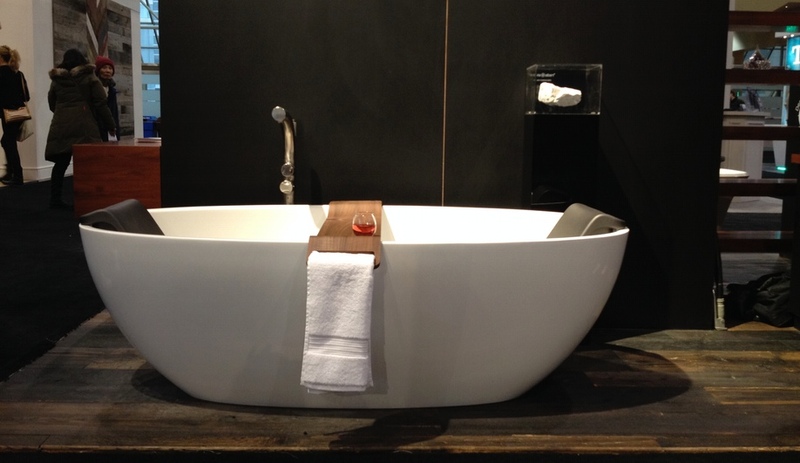 This inviting double-soaker, called Barcelona, is by Victoria + Albert Baths. Avani, the designer line by AyA Kitchens, has presented yet another modern system, this time by local architecture firm Hariri Pontarini. Pique-Pique by Designlump – one of those ideas that are so ingenious yet super simple. 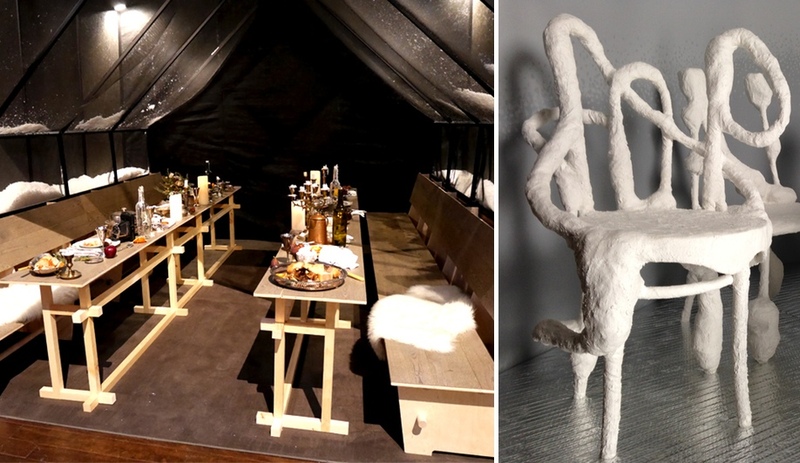 At the Design Exchange, the Monogram Dinner by Design event showed local designers experimenting with the dining table. 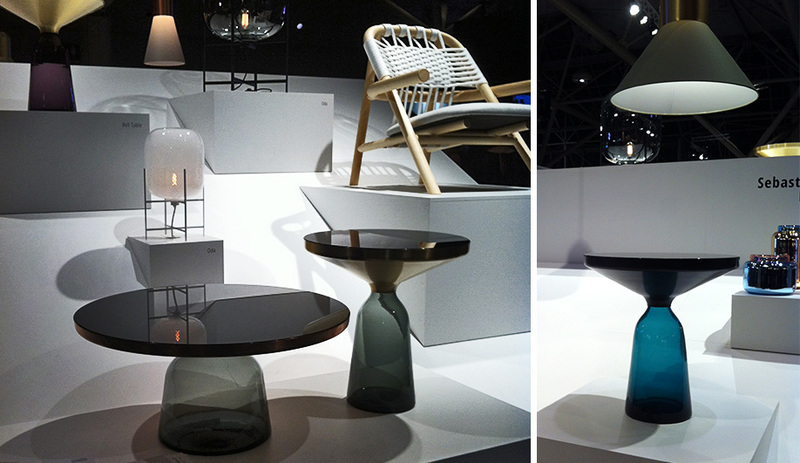 On the left, Mason Studio's modern chalet; on the right, UUfie's unusual creations. Planters are popular this year. 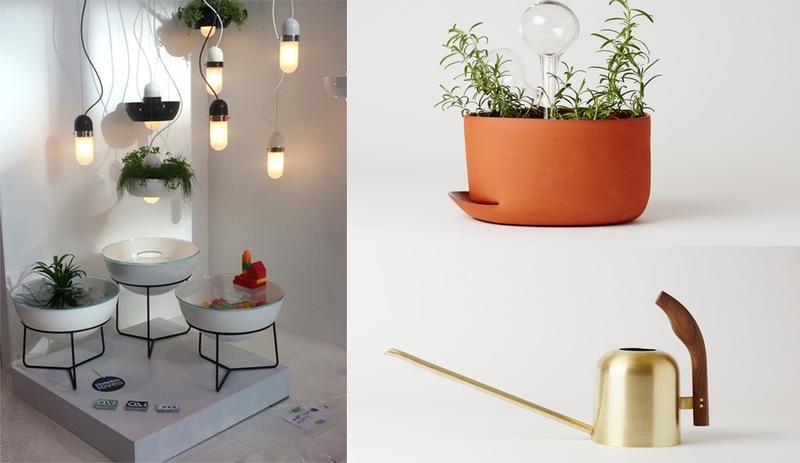 Left, Ryan Taylor of Object Interface showed off lighting and tables that accommodate greenery; right, Anderssen & Voll presented the Indoor Gardening Project at Mjölk. 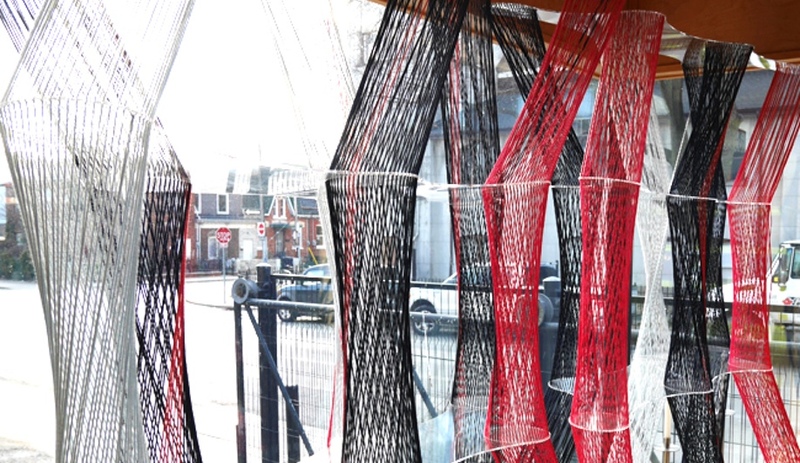 At Urban Mode, an eye-popping woven installation by Sofia Escobar (image courtesy Designlines). 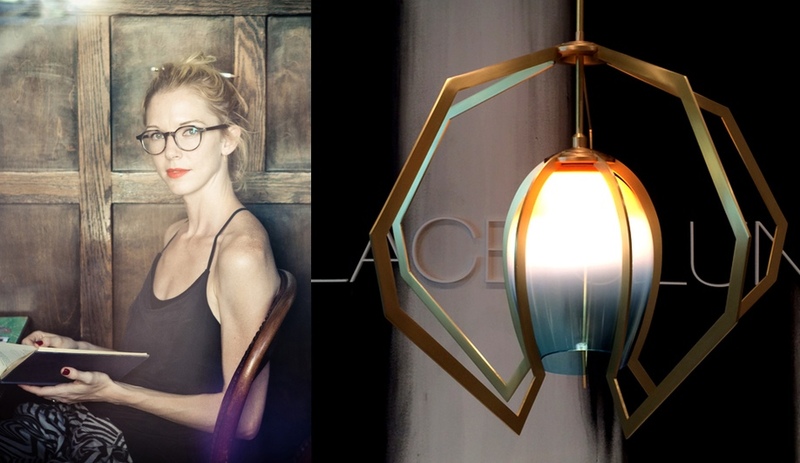 Showroom Hollace Cluny showed off a new light fixture by New York designer Bec Brittain. 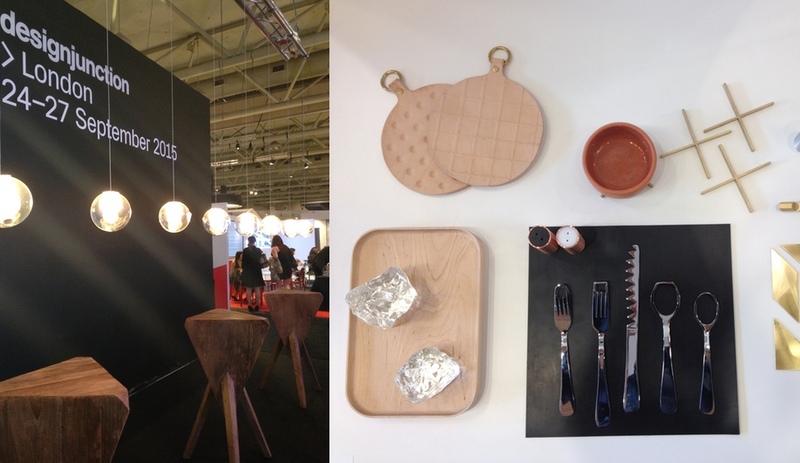 Toronto furniture maker Heidi Earnshaw exhibited her latest table and chair sets at IDS, along with ceramic tableware by Susie Osler. 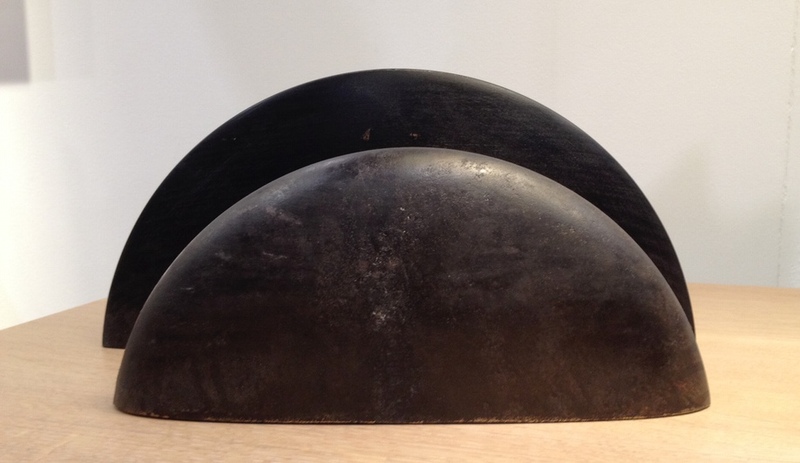 Heidi Earnshaw also carved these two half-moon objects, one out of wood, the other stone. 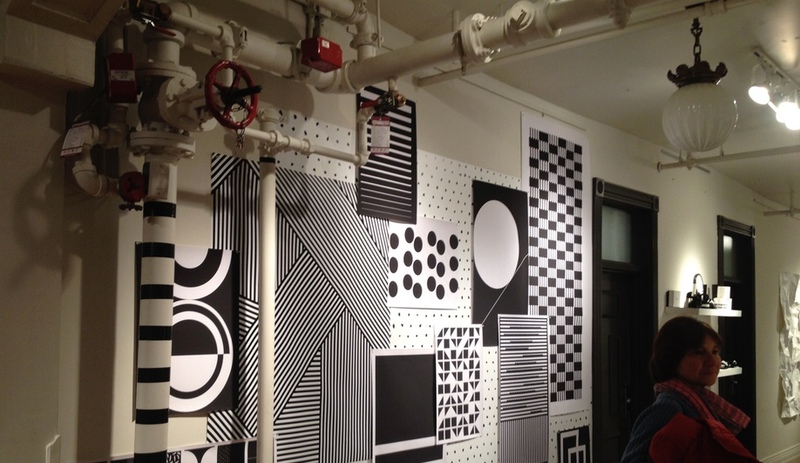 The Gladstone Hotel's annual Come Up to My Room showcase had a strong graphic theme this year. Poster art by Jacqueline Lane at Come Up to My Room, seen at the Gladstone Hotel. 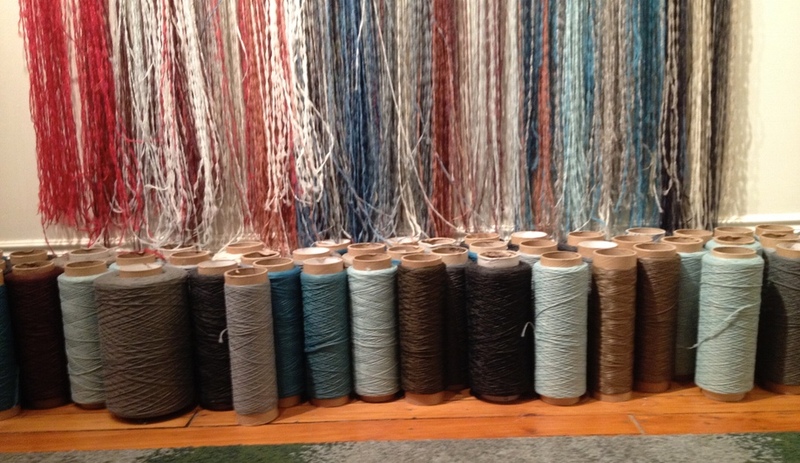 Common Threads exhibit, on view at the Gladstone Hotel, consists of ceiling-height wall hangings by Sander Freedman, Riyad Bacchus and Andrey Chernykh, who celebrate the distinct rug-making traditions of India, Iran and Nepal. Beautiful 15-inch octagonal tiles made by Ceragres of Montreal, Quebec. International design talent also shone. 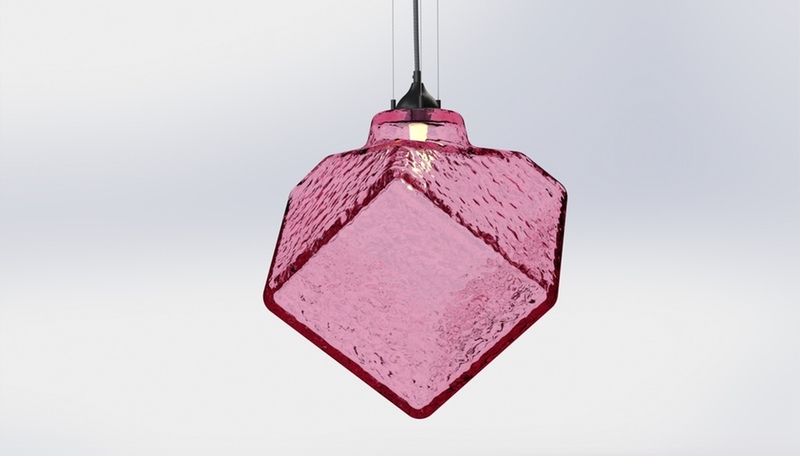 At IDS, Designjunction advertised its presence; and at various locations around the city, WantedDesign presented the Outside the Box series by Canadian and U.S. designers. Luca Nichetto designed the Cubitat concept for local developer Urban Capital. It was one of the most popular spots at IDS. 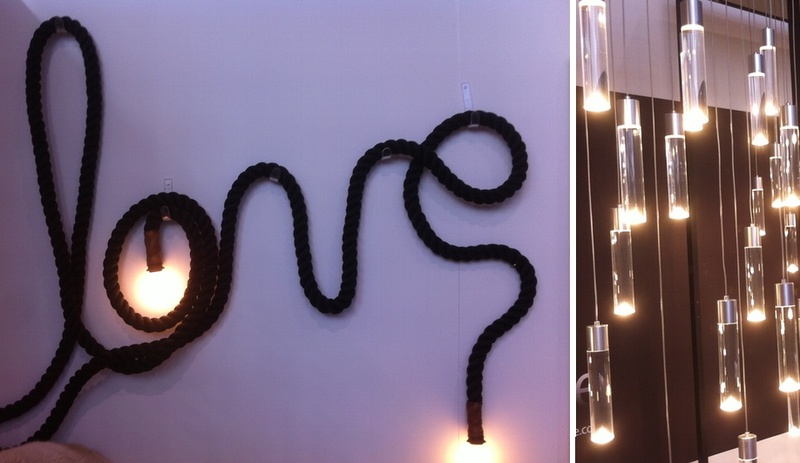 More sweet lighting fixtures at IDS: the rope Love lamp is by Atelier Nomade and the LED pendants are by Archilume. It was cold, but IDS had some great outdoor furnishings. 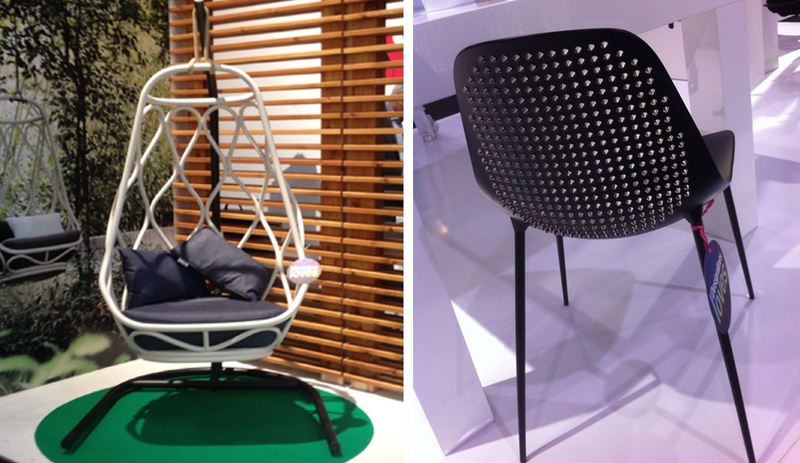 Shown, the Nautical hanging chair from Expormim, at the Tusch Seating booth, and the Mammamia Punk chair – suitable for indoors or out – by Opinion Ciatti at Radform. 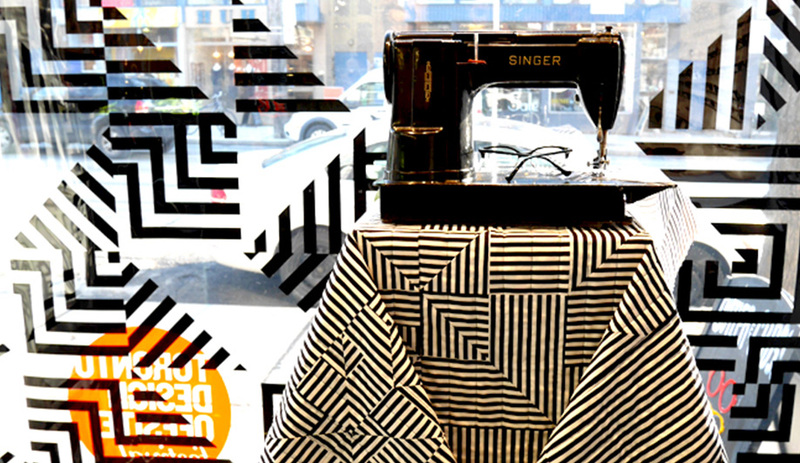 Libs Elliot's quilts were a hit at IDS and off-site, seen here in the window of the Cutler and Gross eyewear shop. 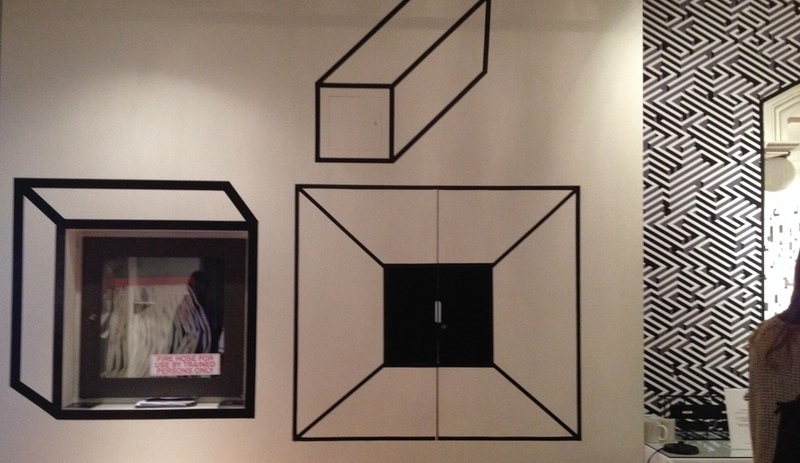 The geometric patterns are based on open-source codes. 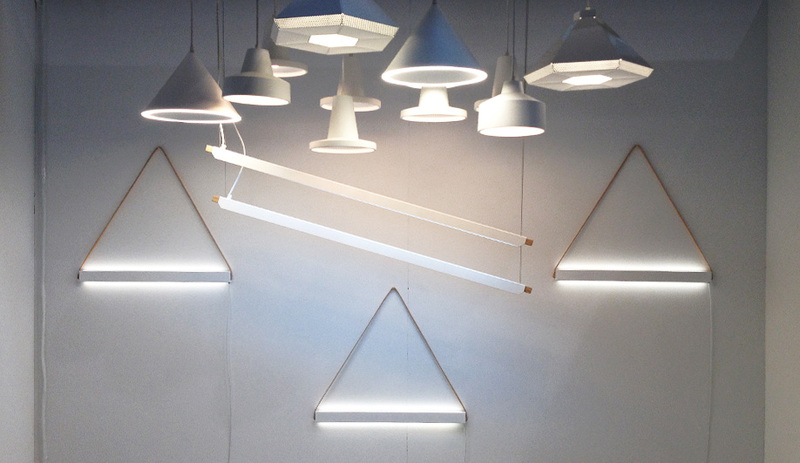 M-S-D-S Studio presented its brightest lights, at IDS in a tiny booth that was nonetheless a knockout. 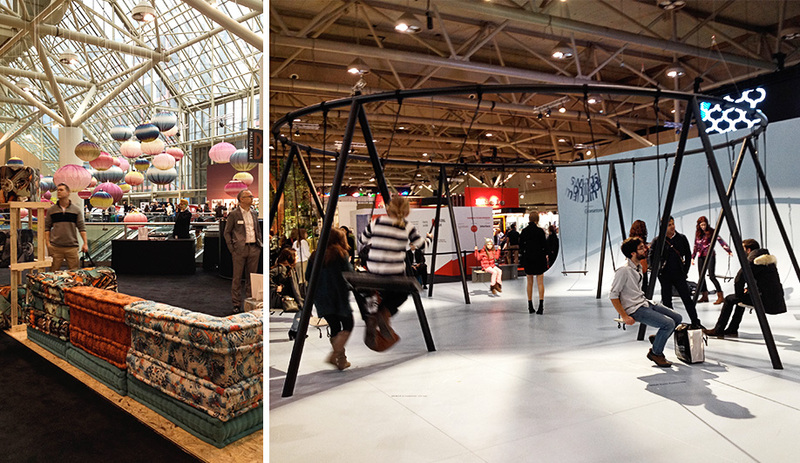 Colourful balloons and a swing set in the round set the mood of Toronto’s Interior Design Show last week. At the fair and around the city, ingenuity was everywhere, from bentwood furnishings and modern quilts to out-there dining installations. The inner child in every design lover at the Interior Design Show leapt at the chance to ride the Swings. 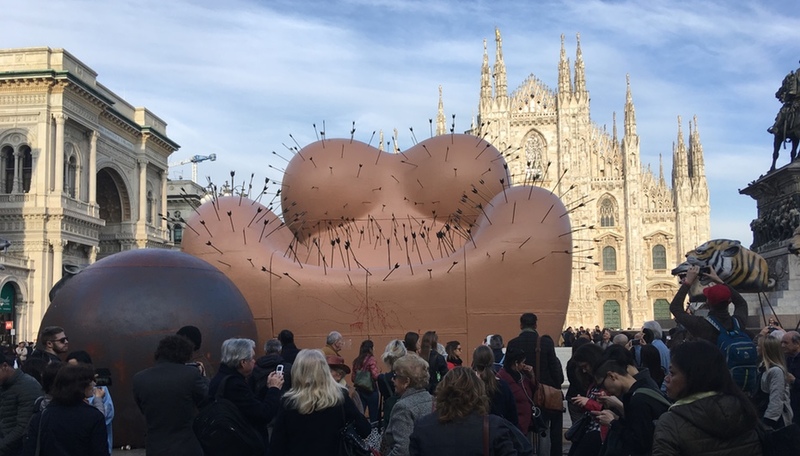 This popular selfie hub and functional playground, by London-based designer Philippe Malouin and Caesarstone, attracted a constant crowd of people waiting for their turn. Each swing featured a different slab of Caesarstone, and all 12 were arranged around a circular steel frame. Over the weekend, the installation was taken over by the younger attendees, with parents enjoying a break on the surrounding benches. It was moments like these that made this year one of the most eclectic Toronto design weeks in years. Elsewhere at the Interior Design Show, the floor was full of pragmatic furnishings for the home, as well as more out-there ideas. A perennial favourite, Miele’s booth was busy with cooking demonstrations that showed off the new M-Touch stove, which operates like an iPhone, while two MakerBots printed 3D models of Miele stoves. The kitchen also got a modern makeover at Avani, which debuted a stunning wood-and-white kitchen designed by local architecture firm Hariri Pontarini. 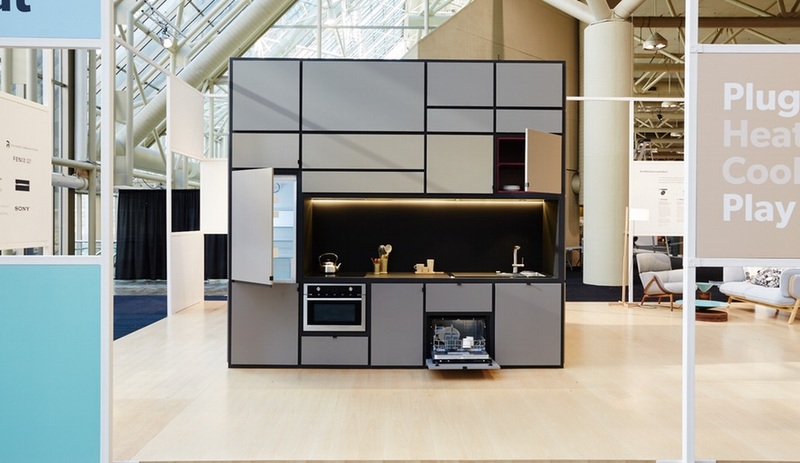 Meanwhile, Urban Capital and Nichetto Studio showed off Cubitat, an all-in-one kitchen, bathroom and bedroom concept that can be dropped into a condo unit as small as 600 square feet. 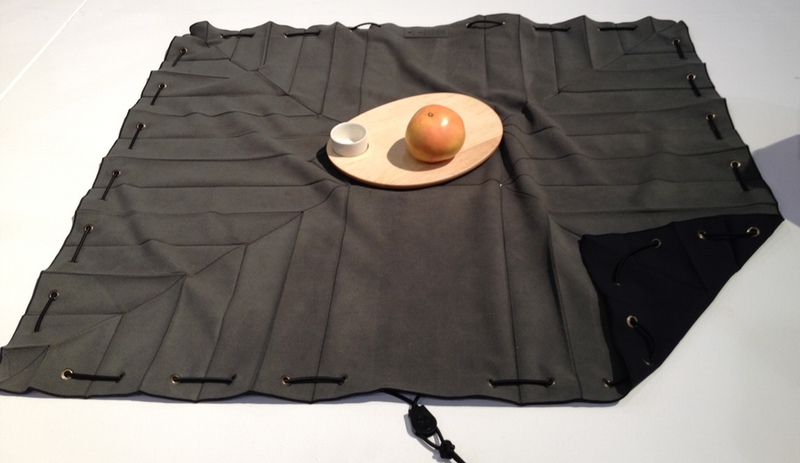 The exhibits Studio North and Prototype were also rife with innovation, from Libs Elliott’s quilts based on computer algorithms to a hexagonal wood chair by Geof Ramsay, which won the best prototype award. 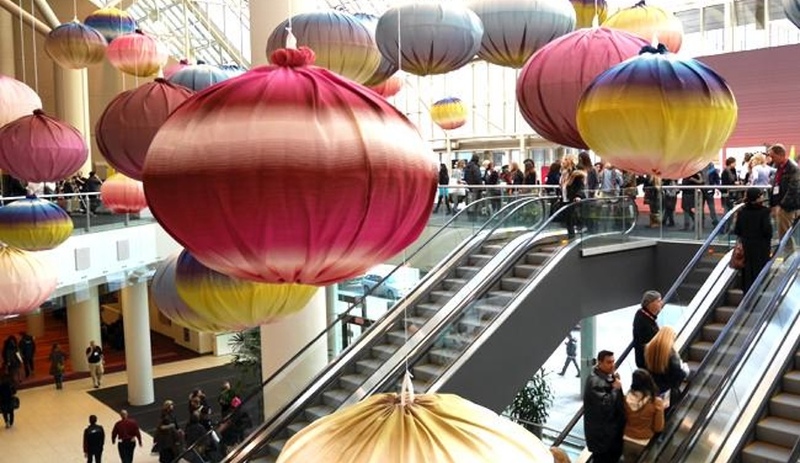 Throughout the downtown core, at the Toronto Design Offsite Festival – which this year staged almost 80 events – independent designers, both local and international, showed their works in shops, showrooms and galleries. (Our sister publication, Designlines, handed out 100 Love tags to the best at IDS and around town all last week). Among the highlights were the Indoor Gardening Project at Mjölk, the graphic art displays at the Gladstone Hotel’s Come Up to My Room, and the Uufie dining set at the Design Exchange’s Dinner by Design event. Talk about eclectic: Toronto is a city bursting with ingenuity – just ask the Economist. 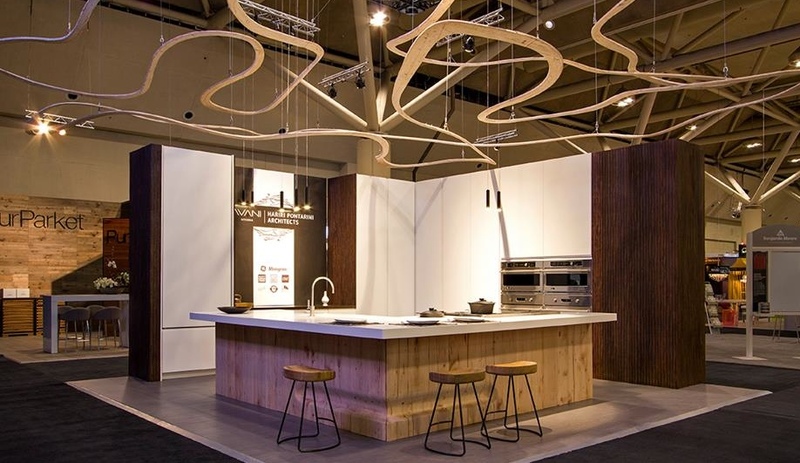 For more great design, at Toronto design week and around the world, follow Azure on Facebook.